Hamas leader Ismail Haniya has called the US decision to recognise Jerusalem as the capital of Israel a "war declaration against Palestinians" and urged his people to launch a new Intifada, or uprising. 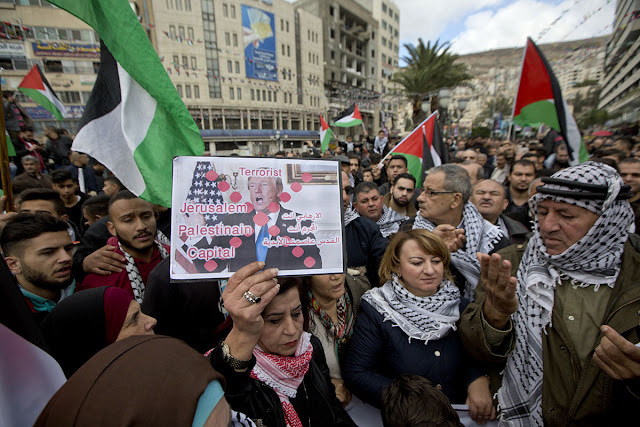 Hours after Haniya's speech, Palestinians took to the streets of the occupied West Bank, Jerusalem and Gaza to show their anger at US President Donald Trump's announcement. 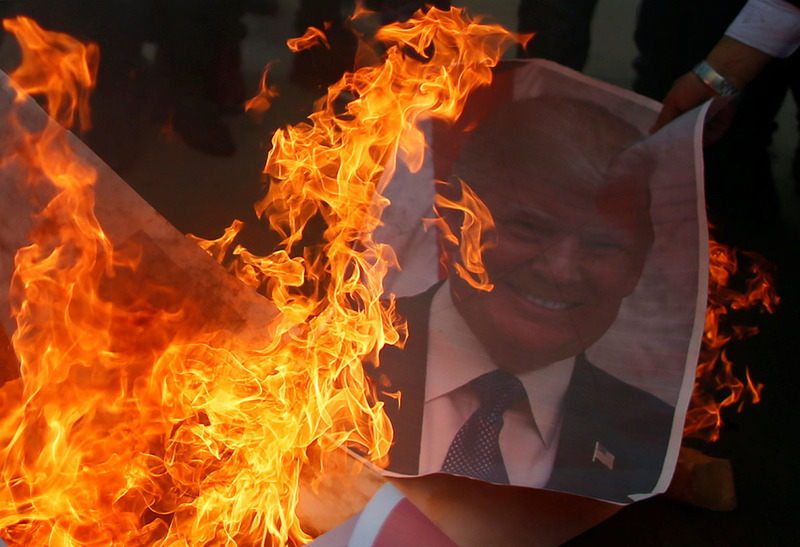 Trump reversed decades of US policy on Wednesday by recognising Jerusalem as the Israeli capital and announcing his intention to move the US embassy from Tel Aviv to Jerusalem. Palestinians called for three days of rage to protest the US decision. 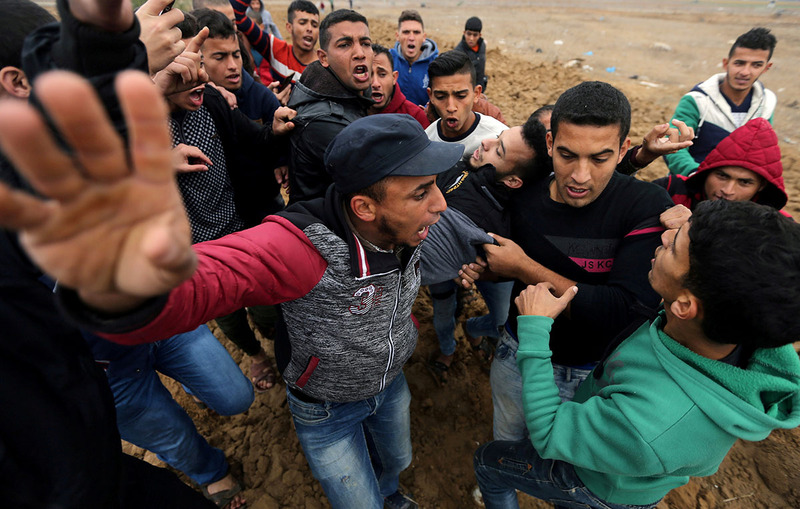 The Israeli military fired tear gas, rubber bullets and live ammunition at Palestinian protesters in Gaza and the West Bank. 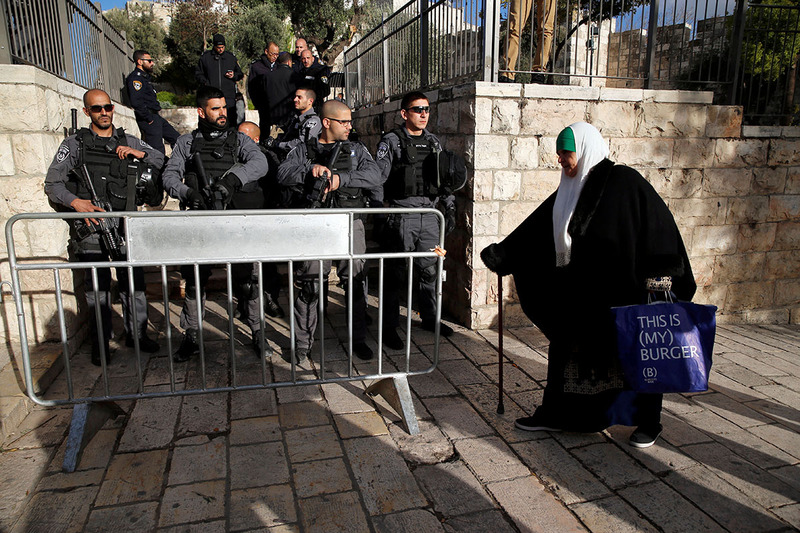 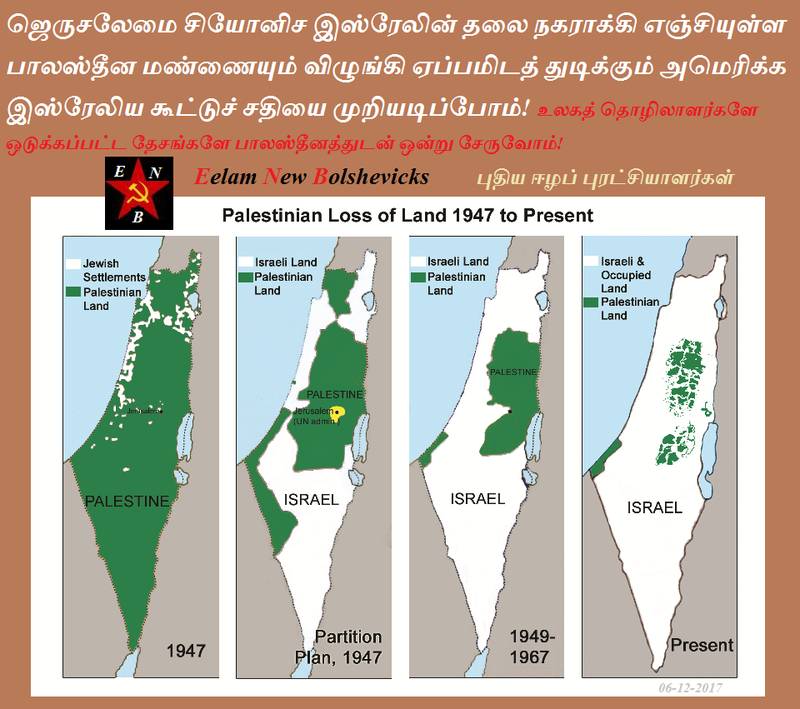 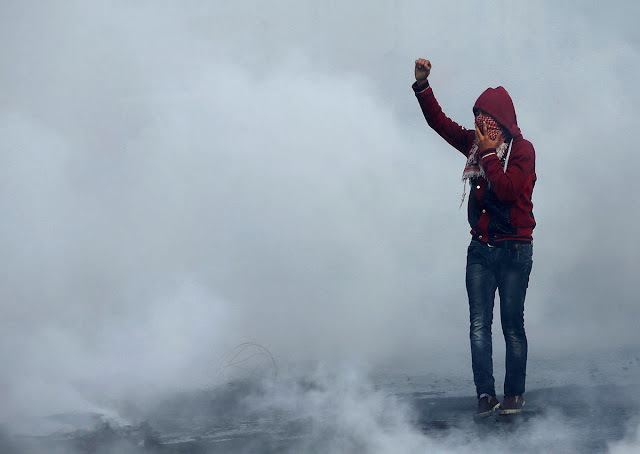 Protests were held in Ramallah, Bethlehem and Hebron, among other cities. 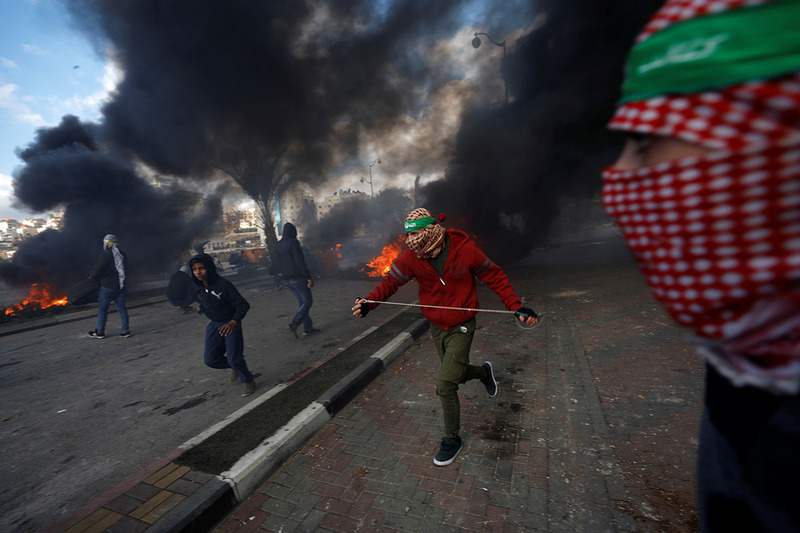 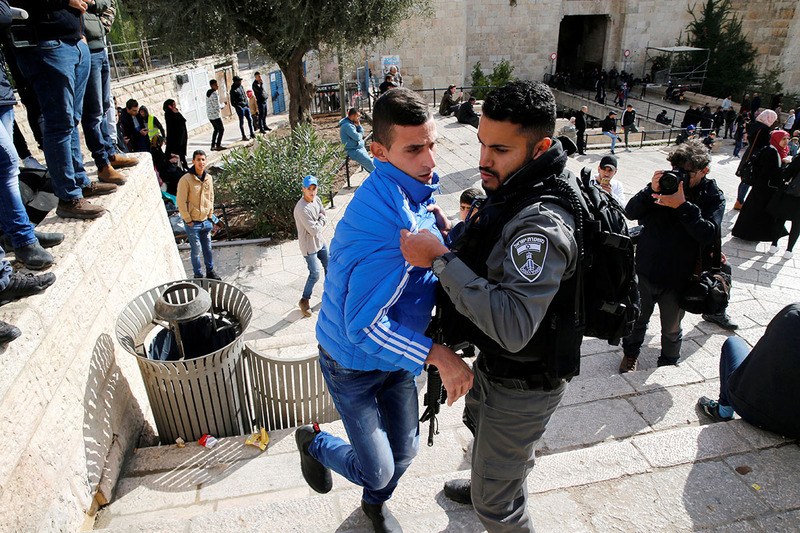 Dozens of Palestinians sustained injuries in the ensuing clashes. 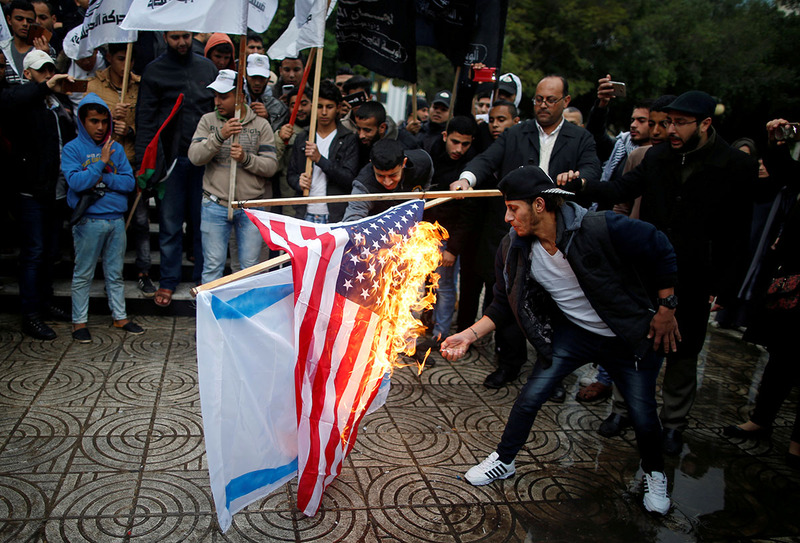 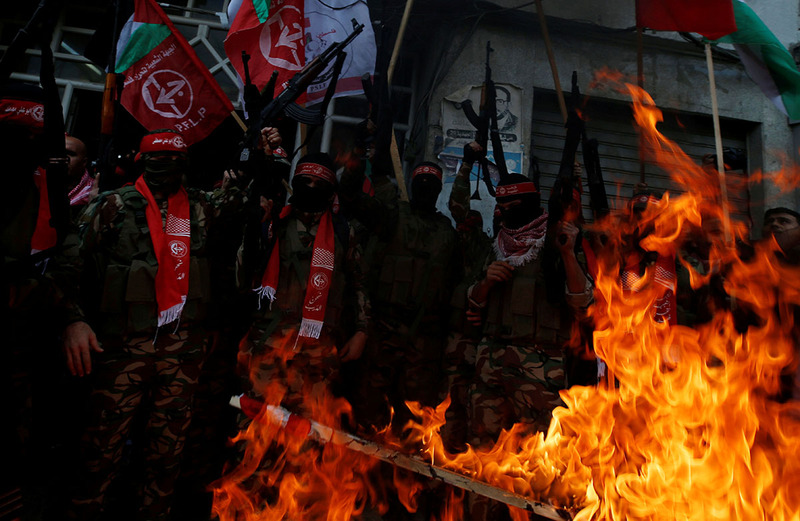 Palestinians burned an Israeli and a US flag during a protest in Gaza City.